Want this cool banner by Pieluvr? Then just copy the code below into your signature! Mediafire unfortunately deleted all of my files. So I've moved to Fileswap. EDIT: Aimoskeeto has informed me that indeed, Fileswap has a download count. So the Downloads section will still be updated. 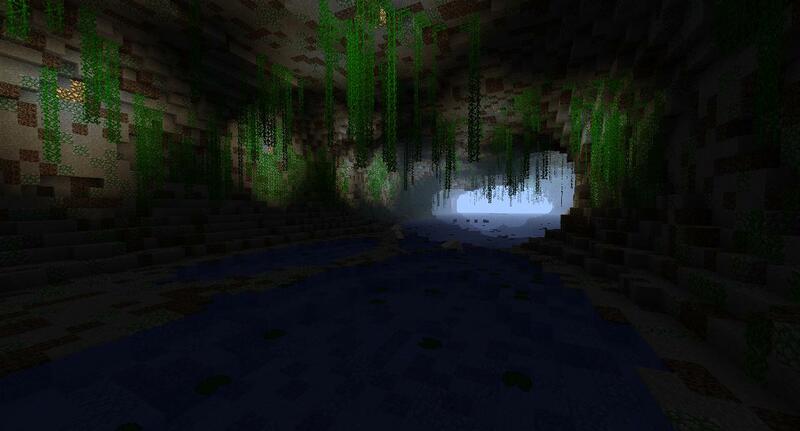 Catastrophic Creeper Caverns has been updated to v1.1, since everyone thought it was so easy. There's about 40 more charged creeper spawners in the map now, and 64 less pieces of glowstone. Aren't you glad you wished for it to be harder? Welcome to a new CTM map series by me, isaac_bardin! These maps are fairly traditional CTM maps, in which you can break and place blocks, mine, craft, etc. They're based off the amazing original Super Hostile map series by Vechs (link is here) in which you spawn in a hostile world and attempt to survive and thrive. The latter might not happen, though, depending on the difficulty of the map you're trying to play. The main goal of my maps is to find the Monument. This is a place with slots for blocks of wool. You find these pieces of wool in special rooms around the map. Most of my maps feature the usual 19-slot Monument, but some maps may have Bonus Goals or a Bonus Monument. For these, the same rules apply as to the main Monument. 1. Find and complete the Monument. 2. Only use Victory Blocks from chests around the map. The only exception are mineral blocks, which you can craft. 3. Don't use Peaceful difficulty. 4. Don't leave the map's boundaries or go where you aren't supposed to go. 5. You may use mob drops or items found in chests to craft anything besides blocks for the Monument. Easy: A cakewalk! There may be a lot of spawners, but the large amount of awesome, renewable loot you get makes your time spent on this map relaxing-- relatively. Medium: A step up from easy. You may find yourself in trouble sometimes, or much of the time. Still, great loot keeps you steps away from your demise. Hard: You shall rage, and you shall rage hard. While I'll never blow up the wool or do anything like that, some areas may be a bit unfair. Loot is less common, spawners are more common. Die in a pit of mobs. Insane: Do you dare to see what a map like this looks like? What kind of general theme a map has. There may be no theme sometimes. How much time, in hours, this map will take to complete for an average player. Linear-Branching: Areas in these maps branch out from central points, called Intersections. Linear: One area comes after another, mostly in a set path. Open World: Lost in a huge world, you must explore to find dungeons. Hub: Areas branch out from a central hub. Minimap: A small map with 3-5 wools. 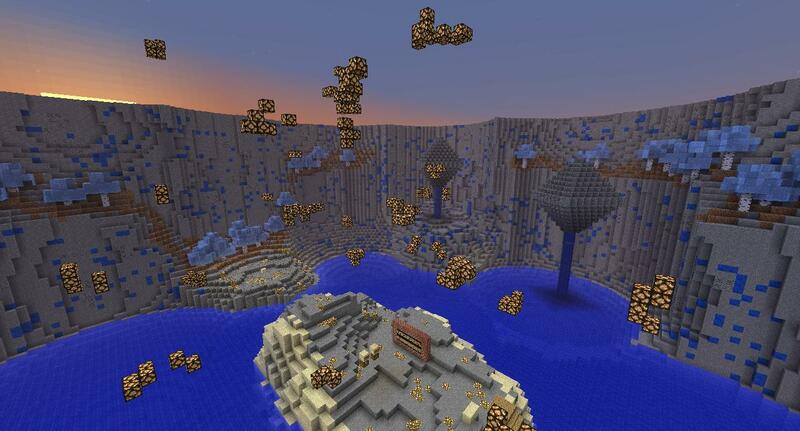 This is the very first CTM map I ever made. Thus, while it is fun for a few afternoons of play, the aesthetics are not really up to par with my future/later maps. I made some radical decisions in terms of design in this map, and it's really a love-it-or-hate-it kind of deal. I'd recommend playing a newer map, but if you don't mind that some areas don't measure up to my exacting standards, this map really does have fun gameplay once you get into it. I'd consider this map an introductory map to my series. Play it, enjoy it, but keep in mind that when I made this map, I was still learning how to use WorldEdit and MCedit to their full advantage. My newer maps are up to a far higher standard, but I'm leaving this map up for download because it could be fun for an afternoon of CTM rage. The Lonely Lands #1 is coming! 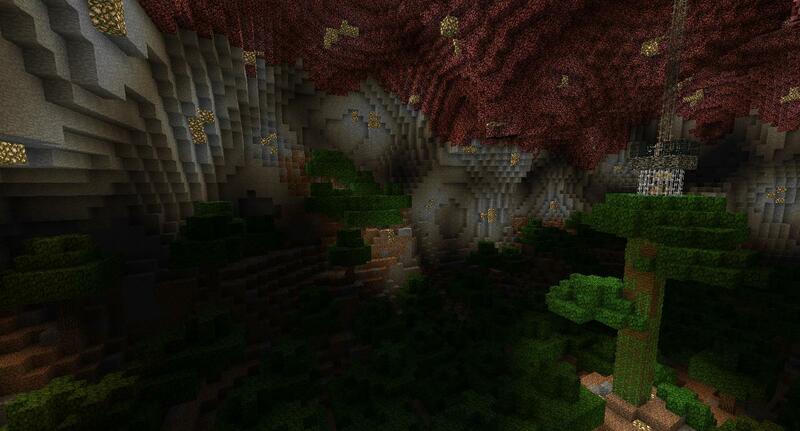 It's going to be a Hard, Cave-Based map set entirely underground in caves. Featuring awesome area names and huge, epic areas, do you have what it takes to conquer the caverns that are both dark and bright? Want teaser pics and updates? Follow this thread, I might post some! The Lonely Lands #2 is coming! Being released sometime in mid 2013, it will be up to far higher standards than the Lonely Lands #0, both in terms of aesthetics and gameplay. I'm really going to take my time on this one and talk to beta testers every step of the mapmaking way so I can ensure a fun and rewarding experience for you guys. Want teaser pics and updates? Follow my thread! I might post some every so often. This is a fun little map that takes you through a psychedelic landscape, filled with plenty 'o creepers. It's a very small map, and it will only take you 5-10 minutes, but you'll enjoy every second of it. 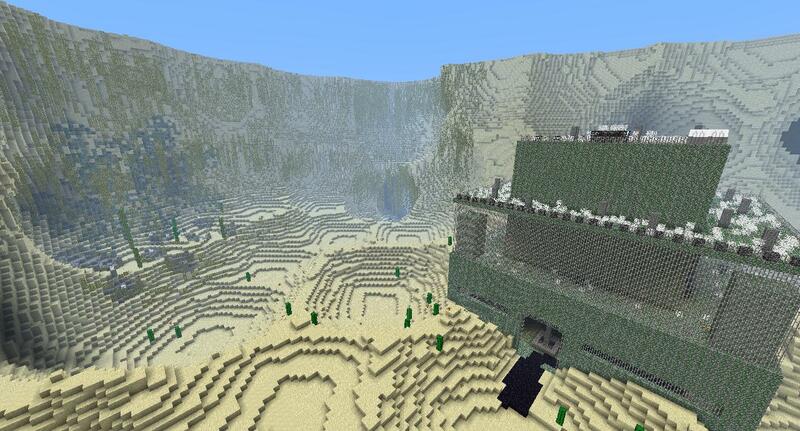 Can you find the creeper spawn egg and bring it back to its rightful place? I'm not interested in getting money for making my maps, I just view mapmaking as a hobby and love to do it. But if you want to support me, the best way is to post feedback (especially pictures, I love those) of the map(s) you are playing at the time! It keeps my thread alive and lets me know what I need to incorporate into my next maps. Also, LPs of my map are greatly appreciated as long as you include a link to this page! How long does it take you to make your maps? I made Humble Beginnings in about 3 weeks. My other maps (future tense right now) will probably have a lot more time spent on them. I'd like to spend more time on the aesthetics of things, and I need to work on my gameplay arc too. What tools do you use to make your maps? I'd like to make my own but I'm not sure how. I use SinglePlayerCommands, WorldEdit, WE scripts like the Terraforming Toolkit, Super Spiral Generator, Magic Circles, MCedit, WorldPainter, TooManyItems, In-Game NBTedit, and much more. This can sound a little overwhelming to a new mapmaker, but there's plenty of tutorials on YouTube for learning each of these programs. Once you know the basics, you'll be mapmaking in no time. Hey, Minecraft version ____ came out! Why aren't your maps updated? I view mapmaking as a hobby. It's not my job, and I have many things to do in real life that may hinder me from updating my maps. I may or may not update maps, or make new maps. I may take weeks, or even months, off mapmaking. When I don't feel like mapmaking, I'm not going to do it. But I do my best to keep things updated and running smoothly for you guys. I have another question! How can I contact you? I'm often found hanging around Vechs' Super Hostile thread, one of my other threads, the CTM Shop, or on esper.net in the IRC channel #CTM. I'd be glad to hear from you! Silly onionhead! Nobody has ever asked you any of these questions. Shhh! Don't tell! Maybe people will think other people are actually curious about this stuff. And it inflates my ego still further. Don't pop the ego balloon. When a YouTuber makes a video series of one of my maps, the link to the first episode of it will be posted below! Keep in mind that just some of the LPs of my maps will be posted here (usually the first people to play a certain map) because I don't have space for every LP ever. Downloads Overall: 3678 as of December 27rd, 2012. Pieluvr: Thanks for making me the awesome Lonely Lands banner! Aimoskeeto: Thanks for making me all the fonts in this thread. Kingkaider: Thanks for being my MCedit magician for LL#1! I appreciate it muchly. Vechs: The father of CTM maps. Thanks to Vechs for the following text (text was modified from his thread). Users are free (and encouraged) to create videos of the MAPS and share the videos online, using websites such as YouTube. Users are also free to include advertisements and monetize their videos of my maps. Watching people play my maps is by far the best way for me to learn how to make better maps. If you have made video's or LP's (Let's Play series) of my maps, then thank you very much! MAP (MAPS, plural) - Data that interfaces with the Minecraft client to extend, add, change or remove game content. OWNER - , Original author(s) of the MAP. Under the copyright terms accepted when purchasing Minecraft (http://www.minecraft.net/copyright.jsp) the OWNER has full rights over their MAP despite use of MOJANG code. USER - End user of the map, person installing the map. THESE MAPS ARE PROVIDED 'AS IS' WITH NO WARRANTIES, IMPLIED OR OTHERWISE. THE OWNER OF THESE MAPS TAKES NO RESPONSIBILITY FOR ANY DAMAGES INCURRED FROM THE USE OF THESE MAPS. ALL DAMAGES CAUSED FROM THE USE OR MISUSE OF THESE MAPS FALL ON THE USER. Use of these MAPS to be installed, manually or automatically, is given to the USER without restriction. These MAPS may only be distributed where uploaded, mirrored, or otherwise linked to by the OWNER solely. All mirrors of these MAPS must have advance written permission from the OWNER. ANY attempts to make money off of these MAPS (selling, selling modified versions, adfly, sharecash, etc.) are STRICTLY FORBIDDEN, and the OWNER may claim damages or take other action to rectify the situation. These MAPS are provided freely and may be decompiled and modified for private use, either with a decompiler or a bytecode editor. Public distribution of modified versions of these MAPS require advance written permission of the OWNER and may be subject to certain terms. EDIT: The second and third screenshots look pretty good. The area in the first one looks pretty cluttered, though. Plus, the odd combinations of irregular and perfect shapes confuses me. I'm almost done with the banner. Photoshop seems to be hating me, exporting it is taking forever. Edit: Aww man, dangit ColdFusionGaming. I wanted the first post. I'll be sure to play it sooner or later. Sorry that I couldn't beta-test it for you. Lonely Lands is better than Vast Lands. Thank you for choosing a better name. Tomorrow, I am going to download and hop right on to it. Glad you felt motivated to release it Isaac! Definitely up for trying this. Expect feedback fairly soon. EDIT: Screw you and your fancy "power miner". I made good use of it, I did. Awesome! Gonna play it soon. Screw you and your fancy "power miner". I made good use of it, I did. I like how "fun" is in quotes. Silly onionhead! Check me out on the YouTubes! I play CTM maps and stuff. So apparently, I died due to my keyboard getting sticky keys again. I was surprised I died in your map though. Heyheyhey Isaac! I'm gonna try out your map right now! am i blind? because i cant find the download link? EDIT: Seems to be all fixed naow. I came here from the SH thread. I just downloaded it, and I think I'll like it. Randomness is always fun. I think I'm going to make a real life pen and paper map of the crazy maze thing. I kinda ran through it without placing many lights, so this may take a while. On the other hand, I beat the Arid Lands and got 2 wool, all the ender pearlies, a stack of iron, and other various lewts. So far the map is really fun. There ain't much left of the world these days. The gods have forsaken us, there's no denying that. But still you press on. For what? A chance to sift through the ashes one last time? The hope to one day be called a hero? Whatever your reason, you've got a lot of work to do. The corruption won't leave without a fight, so you better get started. Looks good to me. Might give it a try. Dayum, you're fast! Congrats on getting those enderpearls, they're a fairly hard loot box to reach, if I'm remembering the correct one. Once you figure out the pattern of the Crazy Maze Cave, it really isn't hard at all. I had the wool place and I2 railline place memorized right after I made the area. You just have to have mental directions in your head as you walk through there ("now right, now left, now right") and you should be good. And if you run through places without placing torches... you are going to love Generic Obligatory Mine Area. <:D Meheheheheh. Can't wait to hear your continuing feedback! Well I gotta go to bed now, but while I played, I got to intersection 1 and made headway into pretty much all of the areas. Really fun so far!